If you are an individual looking for a professional tailoring consultant, or a multi national company looking to improve your quality or production, I can deliver a depth of knowledge, passion and skill that only 35 years of experience in bespoke tailoring can bring. 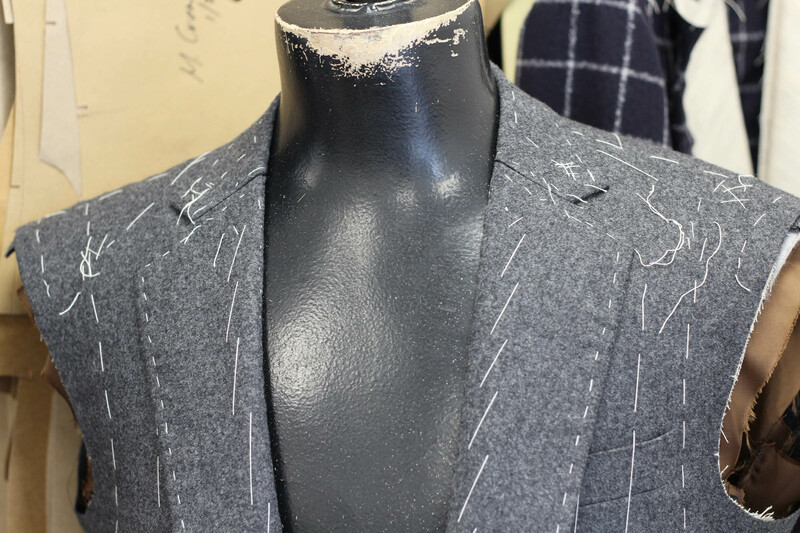 I have occasionally been approached to deliver high quality tailoring consultancy to a wide variety of companies within the tailoring industry. Delivering a depth of knowledge, passion and skill that only 35 years of experience in bespoke tailoring can bring. Desmond Merrion is a highly commended bespoke tailoring consultant, with over 15 years experience working with acclaimed brands and international fashion houses. My specialist expertise is in that of traditional tailoring. A tailoring consultant with real practical experience of fast paced high quality volume factory production. Desmonds’ personal career began in the wholesale tailoring trade at his late fathers Doncaster based factory. Desmond is a very experienced cutter with shears, Eastman straight knives and industrial band knives, and has a vast depth of knowledge on pattern construction as well as being a fully trained bespoke tailor. Desmond is fully conversant with efficient modern production line flow from cutting through to dispatch for trousers and coats. Desmond spent 14 years full time at his fathers wholesale tailoring plant that averaged 3,000 tailored hanging garments per week.